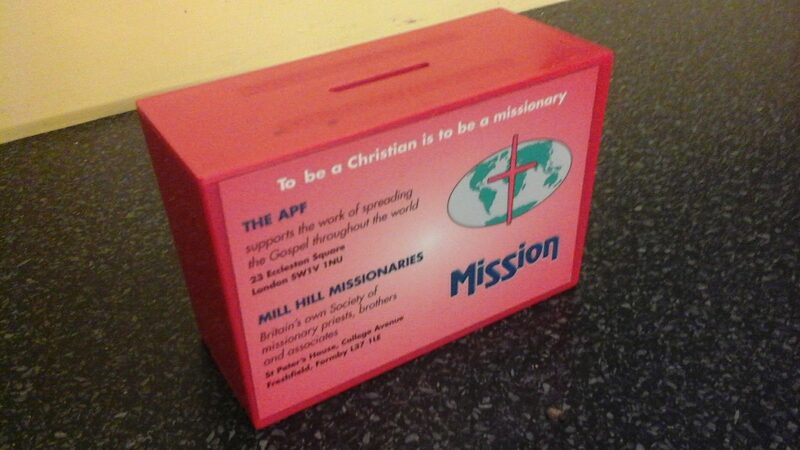 Please bring in your mission boxes for emptying and counting by 17 June. You can leave them in the sacristy and they will normally be available to be picked up afresh from the porch the following week. Thank you for your generous support of the Missions.